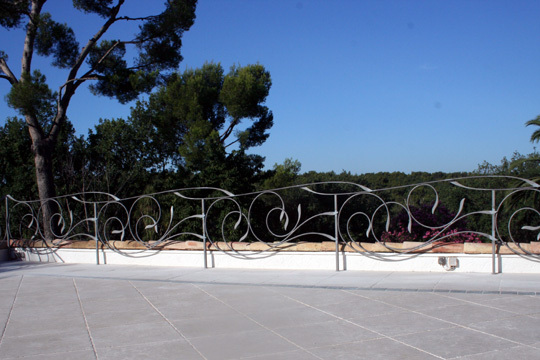 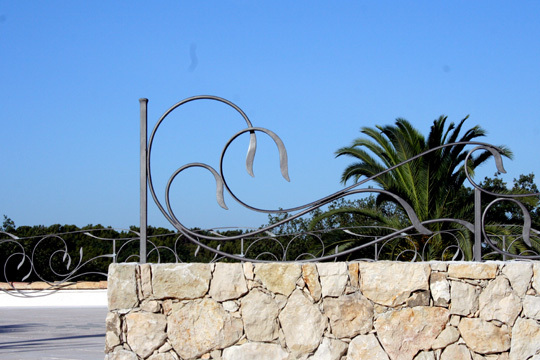 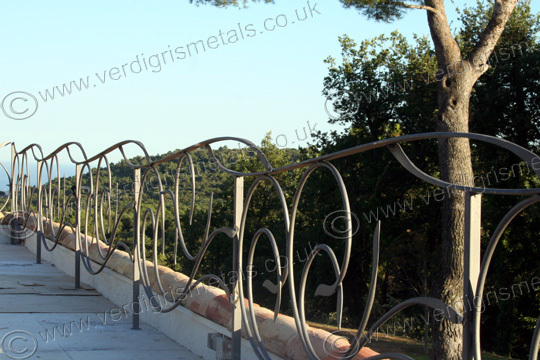 These contemporary flowing metal railings were commissioned for a villa in the French Riviera and were designed, made, delivered and installed by Verdigris. 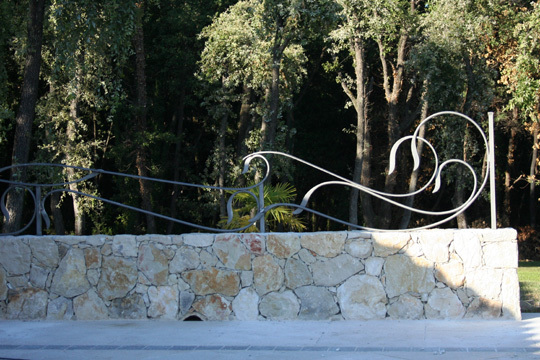 The villa nestles in a hillside location overlooking the Mediterranean. 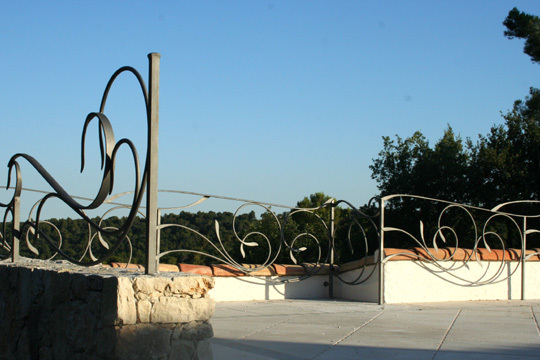 Its location was the inspiration for the design; bold and curvilinear flowing lines reminiscent of waves and hillsides. 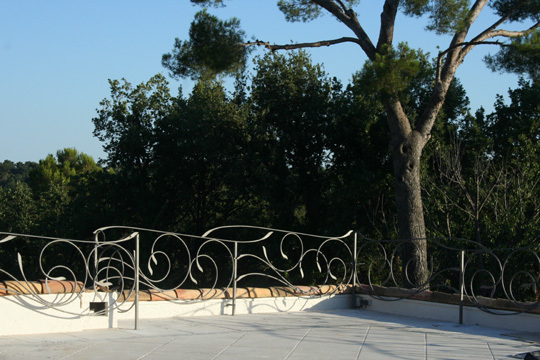 The railings were made from forged steel which was galvanised then painted with textured graphite grey paint.